This essential and ground-breaking resource for all practising and aspiring teaching assistants brings together all the crucial information necessary to support the full diversity of learners, from Early Years to Key Stage 4 in one comprehensive volume. Based on the revised National Occupational Standards for teaching assistants, this book effectively supports the personalised learning and Every Child Matters (ECM) well being of children and young people in schools. how teaching assistants can meet the requirements of the OFSTED inspection process. This accessible, user-friendly book provides a wealth of practical resources, including photocopiable materials, templates, and positive solution-focused advice to support busy teaching assistants. 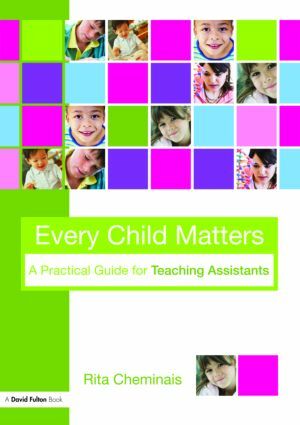 Every Child Matters: A Practical Guide for Teaching Assistants provides a clear description of what the ECM agenda means for TAs and how it will impact on their role. It is also a valuable resource for all those line managing and supporting the continuing professional development of teaching assistants, from local authorities, FE and HE organisations.